Refuge is a non-profit organization sponsored by the International Trauma Studies Program. It s mission is to implement projects that promote the resilience, mental health and social integration of individuals and families in communities that have endured  war, torture, state terrorism, genocide, and political exile. The emphasis in our approach is on the collective context for recovery, such as the family, the extended family, neighborhood and community. We thus focus on collective strengths rather than on individual deficits, and are responsive to the stated needs and cultural values of the communities we serve.  A commitment to collaborationacross institutional jurisdictions, disciplines, geographical, ethnic, cultural and ideological borders. Refuge is a member of the National Consortium of Torture Treatment Programs. It is also a member of the MASST Consortium (Metro Area Support for Survivors of Torture) along with Safe Horizon/Solace, the International Institute of New Jersey, and Doctors of the World/USA. This Consortium provides comprehensive mental health and social services to refugee communities in the New York/New Jersey metropolitan area. Refuges role in this consortium is to provide family-based clinical and community services for torture survivors and their families, as well as the training of professionals and para-professionals in strength-based approaches to working with this population. 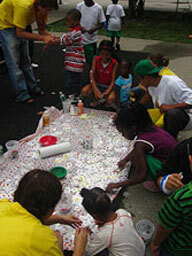 Since October 2002, Refuge has been working with the West African community now living in Northern Staten Island. This community of over 4,000 is predominantly Liberian, but includes Sierra Leonean and Nigerian immigrants as well. 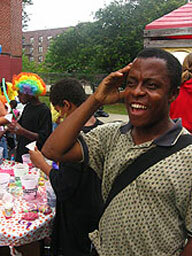 We currently work in partnership with community based organizations in the Park Hill section of Staten Island, to develop psychosocial services, strengthen local capacity, and build a community wide coalition to address issues affecting the well-being of youth and families. See African Refuge.